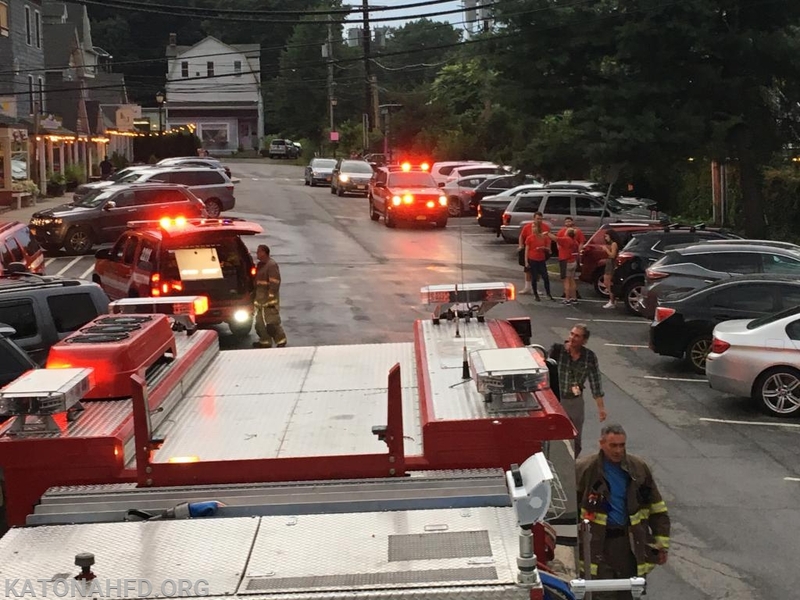 At around 6pm Thursday evening, as rush-hour was in full swing, Katonah Fire Department was dispatched to the KR Restaurant at the corner of Katonah Ave and the Parkway, near the Katonah Train Station. 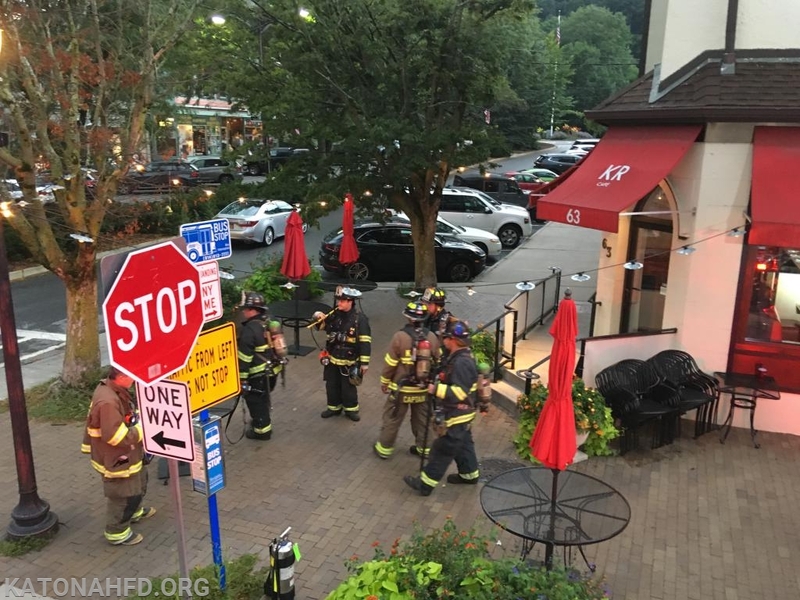 First arriving units were met by employees of the restaurant who described a haze of smoke and an odor of burning in the basement portion of the restaurant. 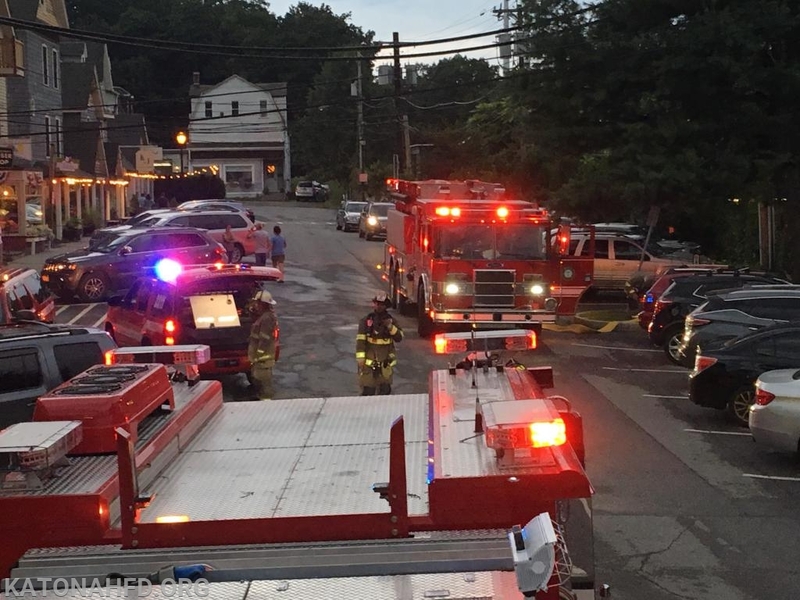 Edgemont Road, used by residents to pick up evening commuters, was closed to traffic by Bedford PD as Car 2211, Car 2212, Car 2213, Ladder 39 and Tanker 6 responded to investigate. 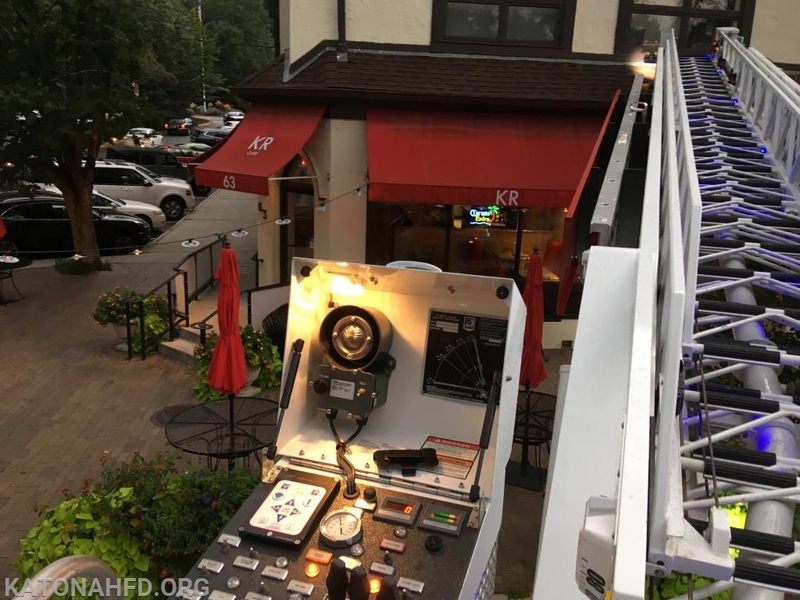 Additionally, Engine 198 and Car 2031 from Bedford Hills FD were called in to provide additional manpower. 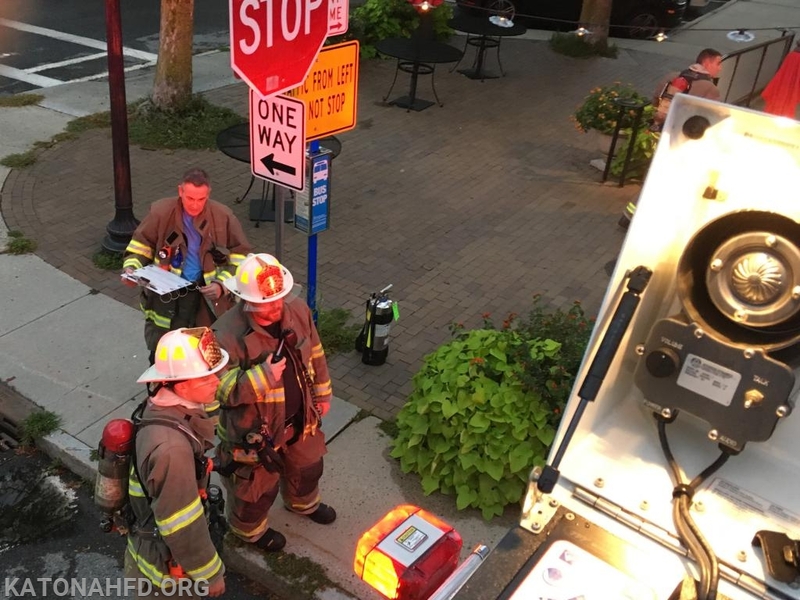 After an extensive search of the restaurant and adjacent businesses, all of which are in one building, the cause of the odor was traced to malfunctioning outlet in the basement. Fortunately, it was caught before causing any further damage. 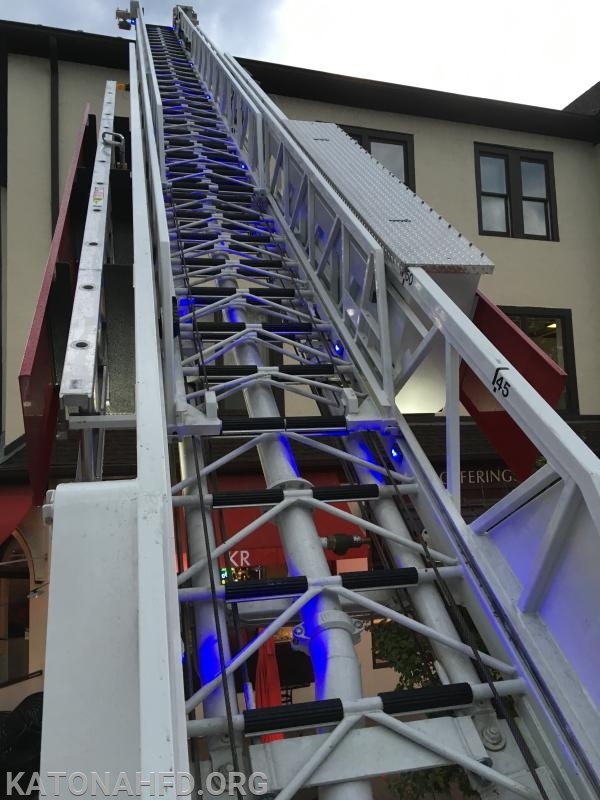 Units were on scene for approximately an hour.